My grandmother, a.k.a. Nanny, shared with me today that she used a mana gardening technique of replacing memories. She didn’t put it like that of course, but as she told the story, I realized that’s exactly what she did. Nanny lives in a place with many other elders. The elders get together and share their stories of the past quite frequently. Instead of telling her story of her traumatic upbringing along with divorces and illnesses etc., she shared that she had a very loving, caring mother and father and had a very fun and loving childhood. She also shared that she had a wonderful husband who died young and they had a loving daughter who was very well cared for and nurtured. In mana gardening, there’s a technique where you replace a non-empowering story with an empowering story—one that makes you feel good instead of one that makes you feel traumatized. So without knowing it, Nanny gave herself the gift of feeling good instead of putting yourself through the memories of her tragic childhood and marriage! She shared with me that the purpose was so that she wouldn’t have to go through those emotions again. Some may consider that being untruthful, however, I see it as a gift to herself and her wellbeing. Had she told the dramatic stories, she would’ve felt the negative emotion again and likely would have had to share many more details that would enhance the negative emotions. She just did not want to put herself through that again. Every time we re-tell the story of a traumatic event, we inadvertently live it again. We experience all the emotions as if it just happened (like right now) as opposed to many years ago. That is how your mind sees it and that is how your body reacts. Neurologically speaking, she created a new neurological pathway that, if she re-tells the new empowering story a few times or perhaps many times, has the opportunity to become part of her memories and enhance her well-being by leaving her feeling fulfilled with her life, rather than like a victim of a crazy life. Such techniques, shared in the book Mana Gardening, Empower Yourself and Live a Better Life, have the power to help you replace memories that are potentially harmful to your wellbeing, with memories that benefit you and keep you happier. These are also excellent topics for the fields of Mana Psychology™ and Mana Sciences™. And as you know, being happy is paramount to healthy vibrant living! Get your copy of the book and to learn Mana Gardening happiness techniques. Today as I was pulling out of the chiropractor’s office, an older lady, walking rather quickly on the sidewalk, caught my eye. She was clearly talking to me but I didn’t really hear what she was saying. It was something about the bus. As I waved her over, she asked me for a ride because she had just missed her bus, it would be an hour before the next one came, and she was too tired to wait. I noticed a bit of an old automatic reaction starting — a feeling of being bothered by the request. I decided NOT to choose that autopilot reaction. Shifting quickly out of that and into a feeling of compassion and service, I said, “Sure hop in!” I had no idea where this woman needed to go but she said it was pretty close. Here she was in my car, a kind woman in need of a lift so she could get a nap at her friend’s apartment before having to go back downtown to get in line for the next meal. It turned out she only needed to go about a mile. We wished each other a Happy Valentine’s Day and she was off. It felt really good to have helped a sister out! Complaining? Want a Great Trick to Stop? Do you notice your mind making complaints that make you unhappy? I notice these things, too. Felt my energy going downhill and my mood going south. Noticing my complaining mind, I decided to do something different. My intention was to switch my thoughts to change my focus from complaining to something higher that would feel better. The answer I recieved was really helpful, so I was guided to share it. First off, let me explain about questions. Many of us know this, yet our minds keep playing this game and we don’t always catch it as quickly as we would like. If you ask a question, the universe works to answer it. 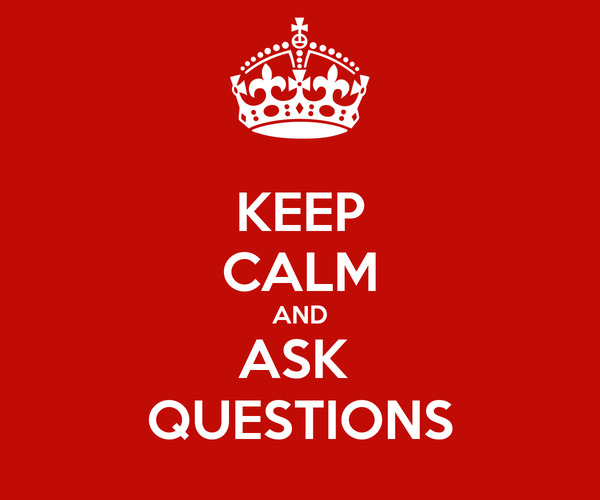 With that said, always (or at least as much as possible) ask questions you really want an answer to. Questions, that when you learn the answer, you feel good about. Why are people so huffy today? Because you will get the answer at some point and it won’t feel good and it likely won’t serve you to know it anyway. Ok, so that’s the deal with questions. On with how to stop the complaining mind. Here’s a great trick when you notice complaints flowing. 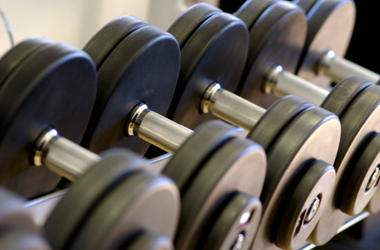 When I asked that question in the gym, my mind was flooded with positive, feel good answers! —I loved that it’s summer and I rode my bike to the gym and simply took off my helmet and started working out. Loved that I didn’t have to wear 4 layers and head to the locker room to de-garb before working out. Loved that today, that part of my life felt easy. —I loved that my muscles were building strength and I could feel it. —I loved that my body could even do what I was asking of it, that I was healthy and feeling powerful. —I loved that I could drink great tasting filtered water and not chlorinated water there. —I loved that I was there and that others who were taking care of their bodies were there as well. Then my mood/energy started to shift back up into the positive realm. This is because, instead of focusing on the answers to my complaints and negative questions, I was now focused on a really healthy plethora of awesome answers! What a great question to ask! The monkey mind is bananas (well actually it’s nuts!) and works hard to keep us in a negative space, so we have to have some tricks up our sleeves to help us stay true to highest nature. We have a right to be happy! Hope this trick helps you! Or ask questions you really want the answers to and see what you get. Bet you will feel much better! I want to start right away, what can I be doing before the book comes out? Thank you for the questions! In response to those questions, I have created 2 free audio files (below) that you can tune into anytime. Audio 1 answers the questions, “What is Mana Gardening?” and “How do I get started?” Audio 1 also provides you with suggestions and examples that prepare you for Audio 2. Audio 2 guides you to create and experience your mana garden. and a feeling of being nurtured. Feelings very much needed in our busy lives! From this place of stillness and wellbeing, which you can access very rapidly, you can then experience a higher wisdom , your own inner guidance, your intuition or whatever you choose to call that creative wisdom that lives inside of you. You can ask questions in your mana garden and receive the wisdom and clarity you request. One of the first benefits is immense relaxation no matter what is going on around you. You can go to this safe, nurturing place within your imagination, your mana garden, in a matter of seconds and feel your body relax. This feeling of relaxation and wellbeing can reset your moment, your hour or your entire day! and provide a mini recharge. To get started, you will want to consider what type of environments feel good to you and allow you to feel at peace, nurtured, safe and loved. Once you have an idea of which scene you would like to create for your relaxation, listen to Audio 2 as I gently guide you to experience your very own mind garden. From there, you can go into your mana garden via your imagination and relax at will any time you want. The Intro/How to Get Started audio was separated from the experience of Entering your Mana Garden, so once you have the background info, you could just go straight to the guided meditation and not have to re-listen to info you already know. Listen in as often as you like! They are here for you as a makana (which means gift in Hawaiian). It gives me great joy to share Mana Gardening with you and your feedback is welcome. Your sharing helps others, so please share your experience. If you would like more, please join the Mana Gardening email list for our newsletter in the subscription box below. I have a feeling you will immensely enjoy your personal slice of heaven, your mana garden, and I can’t wait for you to receive the immense benefits! Aloha kindred souls! I am a research scientist and a certified Hatha Yoga Instructor. I was taught Hatha yoga based on methods that align your body to avoid stress or injury. I am currently working with another wonderful yogi documenting ways anyone can use simple basic yoga techniques to access the energy within to empower us and center us! The ancient Hawaiians called this energy Mana and believed that by nurturing this power we can enjoy our lives fully, retain our personal happiness, and heal ourselves too! We are using Yoga practices to help individuals move inwards on their own journey, to embrace their forthright personal empowerment. We are not leaders or gurus, we are simply fellow explorers searching for ways to use and build upon the Mana that is already freely ours. let us journey together! Watch for our Yoga tutorials to be posted soon but I dont want to say goodbye without giving you something you can use right now. So tonight before you go to bed, stand up, close your eyes and breathe deeply. Picture yourself somewhere beautiful and ask yourself if any place on your body has an ache or pain, or perhaps there is sorrow in your heart or stress on your mind. Then reach upward, stretch as tall and long as you can up towards the stars, and exhale letting go of the ache, the pain, the sorrow and the stress, breathe an exhale. Congratulations you jsut completed two yoga postures, Tadasana and Urdhva Hastasana! Then get into bed feeling better about yourself and did you have any idea that Yoga could be so easy!!!! Stay calm and MANA on!